I’ve hand jeweled and enameled red and brown with touches of green on a vintage heavy bronze oval pendant from the 60’s and mounted a sweet vintage brass Scottie in the center. The total dimensions of this bold pendant are 2-1/2”x 2-3/4” (64x70mm) including the thick bail at the top. 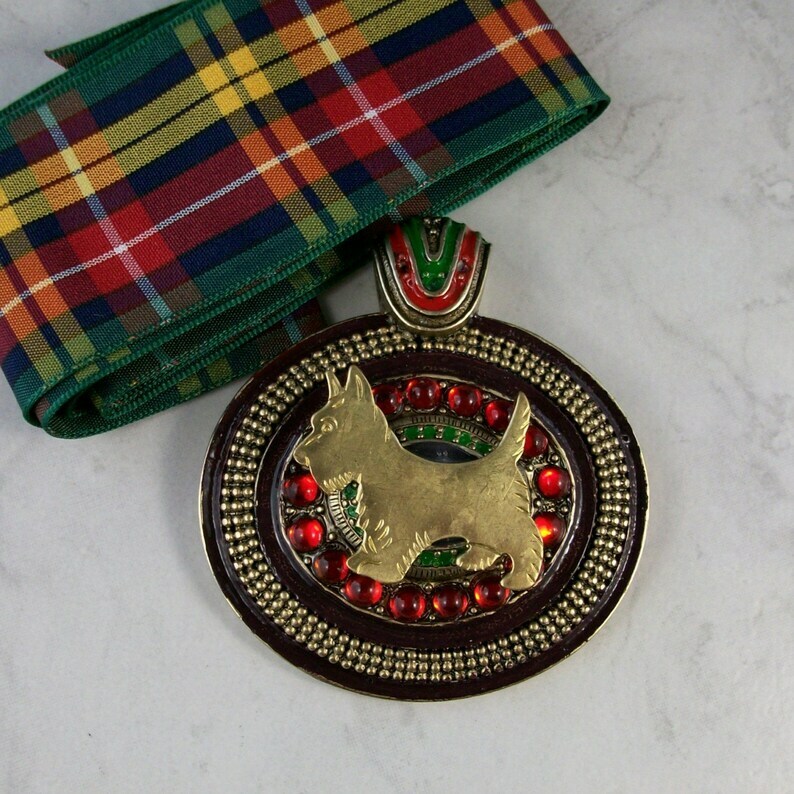 You can wear this bold pendant with the accompanying 1-1/2” (38mm) wide Buchanan tartan ribbon sash or on your own chain. Wear this when you feel the need for a brave heart!